After receiving a supposed release date last week, the full NASA x Vans “Space Voyager” capsule is nearly upon us. Packed with distinct sneaker silhouettes and complementary clothing, the collection commemorates NASA’s 60 years of innovation and space exploration. Vans’ Sk8-Hi MTE and Old Skool silhouettes receive thematic makeovers in line with the futuristic influences. The Sk8-Hi 46 MTE DX is issued in two makeups — black or white — sporting grain leather uppers and exposed foam on the shaft. Another distinctive duo, the two Old Skool sneakers boast either a spacesuit-orange colorway or simple white, placing emphasis on the NASA branding and extended tongue pulls. Each shoe boasts ridged midsoles (recalling space boots) and removable NASA patches, held on by velcro, which can be swapped between shoes. Joining the footwear offering are three jackets — the black/orange Vans Space Anorak and two colorways of the Space Torrey Padded MTE jacket. 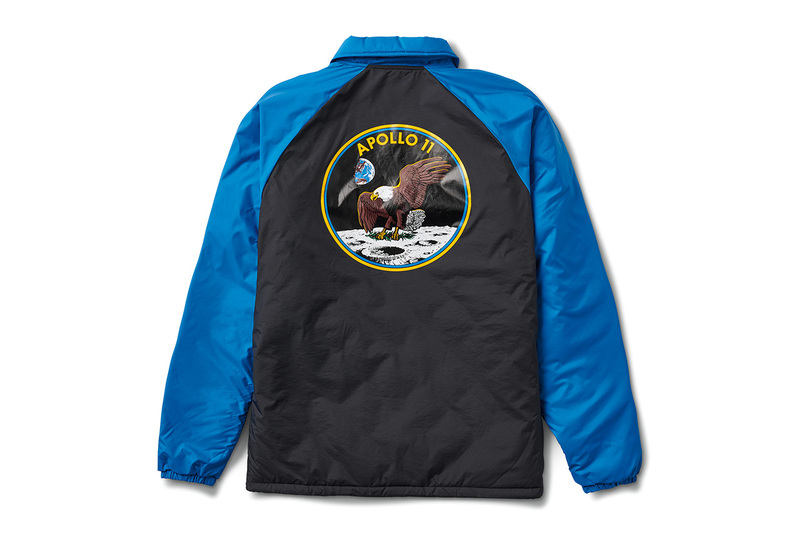 The latter sports more NASA branding and Apollo 11-indebted imagery, tying in with a white long-sleeve pullover & black T-shirt and hoodie. To round out the drop, the collaboration includes a duo of bags executed in similar colors. The Grind Skate Duffel is reimagined in that familiar bold orange, while the Snag Plus Backpack is granted a muted black and white makeover. Look for the collection to hit Vans’ website and HBX on November 2 along with a matching selection of kids gear. Elsewhere, NASA joined Anicorn for a special timepiece. The Philly native links with Chief Keef, Key! and Valee. Here are five projects you may have missed.